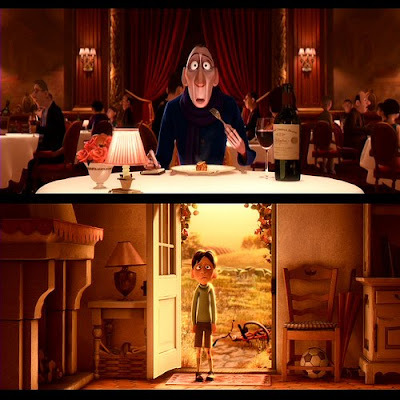 Scene from the movie "Ratatouille"
Eating comfort food can bring us to scenes like the one depicted above where a very harsh food critic suddenly turns mushy and warm after eating a dish which reminded him of his mother's home--cooked ratatouille. The first bite transported him to his childhood and brought comfort to his otherwise cold existence. I have my own comfort food which is a dish I will always associate with our restaurant - Ambos Mundos Restaurant and a happy and secure childhood. Many people define comfort food as food that is easy to eat or rich in calories which in effect gives physical "comfort" to the body. It is also defined as food often traditionally prepared which carries nostalgic or sentimental appeal to a person. The latter meaning refers to the psychological effects of food which is used either to increase positive feelings or relieve negative ones. The willful consumption of comfort food is usually related to emotional stress. A person undergoing extraordinary pressures may seek comfort in familiarity . Seeking people for comfort such as siblings and parents may not always be possible because of distance or death but there will always be a way to find one's preferred comfort food. Eating comfort food is also done during happy times as a way of connecting the past to present successes. 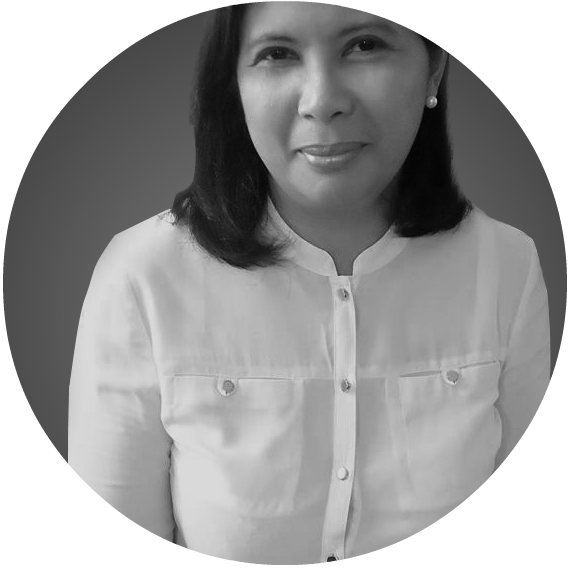 Growing up with my family operating Ambos Mundos Restaurant, I was fortunate to have access to most of the more popular Filipino and Spanish dishes at any time I wanted. Among the many available dishes, I have set my heart and taste buds to one particular dish. This is the Tortang Alimasag. Torta in Spanish has different culinary meanings. In Tagalog-speaking regions however, torta refers to a kind of omelette typically made of eggs, the chosen main ingredient such as ground meat, and minced onions as well as potatoes. It would be easy to surmise therefore that my Tortang Alimasag makes use of crab meat as the main ingredient since alimasag refers to a sea crab. During my childhood days, I would often watch the kitchen helpers and the waiters pick meat from freshly-cooked crabs to be used for the Tortang Alimasag. It was usually done after the lunch time rush hour since these crabs will be set out in a row on tables. This was probably the most relaxed time of the day in the restaurant since everybody were practically resting as they went about this task of picking crab meat. Those who were doing the task will settle around the tables and proceed with their storytelling and bantering somewhat akin to a family sharing jokes with each other. Sometimes I understood their stories, sometimes I didn't but this has not prevented me from sitting with them and joining the fray. Looking back, these adults' tolerance of my childish presence was as much fun as waiting for the first batch of crab meat that will be used for my Tortang Alimasag. With my father and most of the previous employees of Ambos Mundos Restaurant long gone, I still find myself looking back at those times when everything was a lot simpler than now. There were no complicated conflicts and machination of personal interests. It was living day in and day out, happy and contented after a day of honest work in spite of the occasional drama that life brings. Today, I cook my own Tortang Alimasag in the way I best remembered it during the Ambos Mundos days. If someone were to ask me how, I probably wouldn't be able to describe it in words but my hands will know the way and my tongue will confirm it. Every bite brings me back to a time when I felt so secure that absolutely no one and nothing can hurt me. That said, comfort food is not necessarily a form of escape but a way of remembering good times in the face of bad times or happy times.